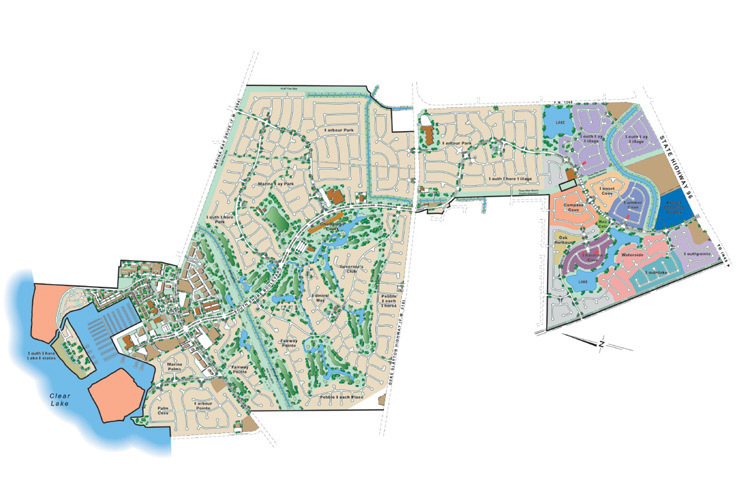 Since 1983, Wynne/Jackson in association with American National Insurance Company, prepared and has executed a comprehensive business and development plan for this 2,500-acre master-planned community. Through the continual implementation of this plan, the Wynne/Jackson team has successfully developed this project into one of the most successful developments in the Gulf Coast area. South Shore Harbour now encompasses: 2,000 single family homes, 2 elementary schools, the 1,000-slip premier South Shore Harbour Marina; a 27-hole golf course and country club; the 300-room South Shore Harbour Resort and Conference Center; over 900 units of luxury apartments; a 200-unit assisted living community; a luxury townhome development; a retail center anchored by Randall’s grocery; four office complexes; an office showroom complex; along with day care and nursing home facilities and support retail establishments. Total construction cost is estimated to be in excess of $100,000,000 and total value at build out in excess of $1 billion. This project has been built out and had just over a 25-year development duration.